The spring has been very eventful time of the year for me. 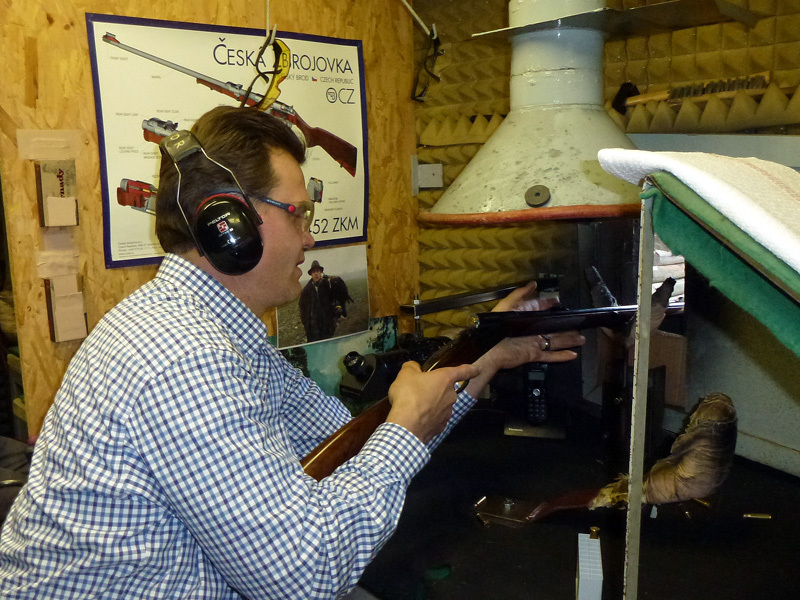 I have helped organized the shooting event in Hartford Gun Club, attended NRA Convention in St. Louis and most recently visited the mother company of CZ-USA – Ceska Zbrojovka in Czech Republic (CZUB). What brought me to Czech Republic, my native country, was visiting my parents and going to see few games of the under 18 hockey World Championship played halfway between my hometown and Uhersky Brod. It could not work out any better. 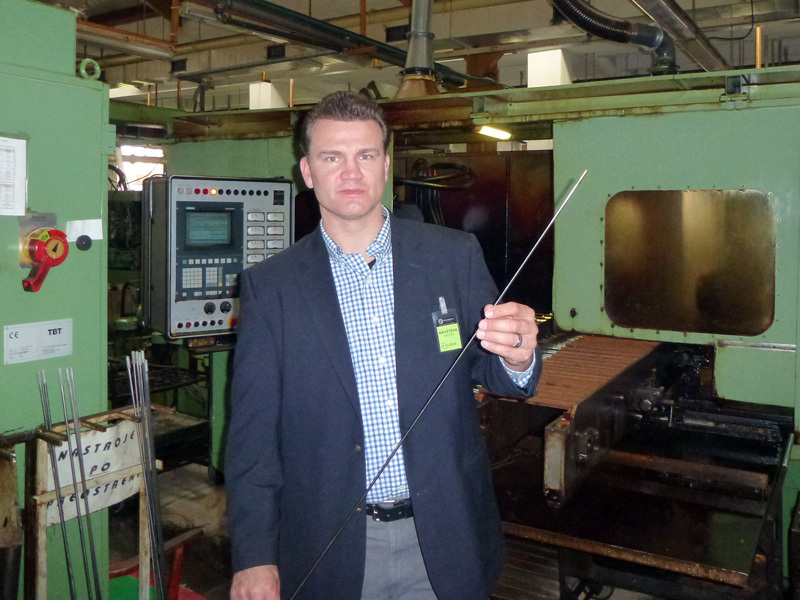 I got to see lot of family, great hockey games and finally visit the factory where the world class firearms are made. The CZ has a very interesting history. It was going to be built in the western part of the country, but Nazi Germany military expansion was becoming real threat in the mid 1930′. The government decided to move the project about 200 miles east, away from the Germans, before they even broke the ground. The first products, machine guns for war planes were coming off the line in four months. The exterior design of all the factory buildings looked like just another part of the town to prevent easy recognition during potential bombing raids. It has expanded much since, but the original buildings still remain. 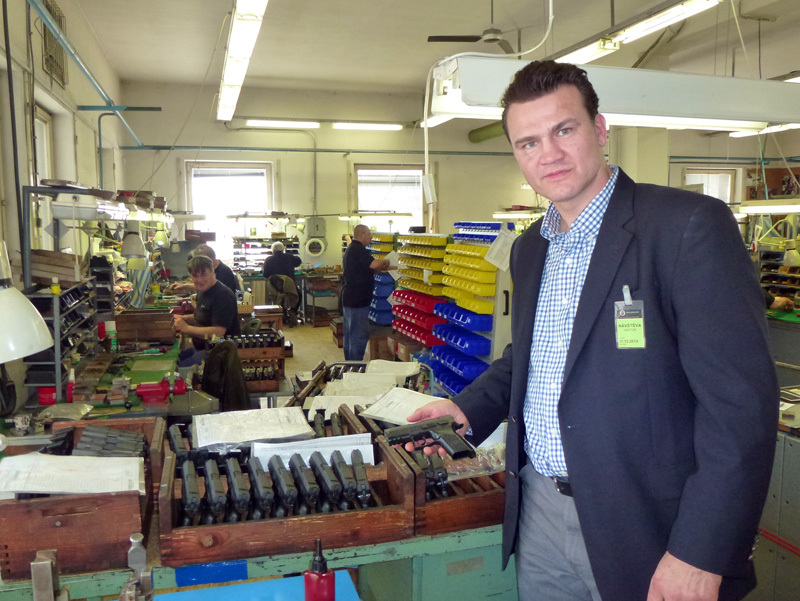 The German occupation forces moved quickly to secure CZ arms factory in the spring of 1939. There were few very interesting stories told by my guide for the day Karel Barinka, the Director of Marketing while we toured all the facilities. One stood out more than most. Czech Republic was the first country that provided arms and military instructors to the new state of Israel immediately after it’s creation in 1947. Throughout the cold war the firearms like the submachine gun Scorpion, assault rifle/light machine gun VZ 58, CZ 75 and others were sold to many warring parties, mostly to the enemies of democracy. Such was the world then. 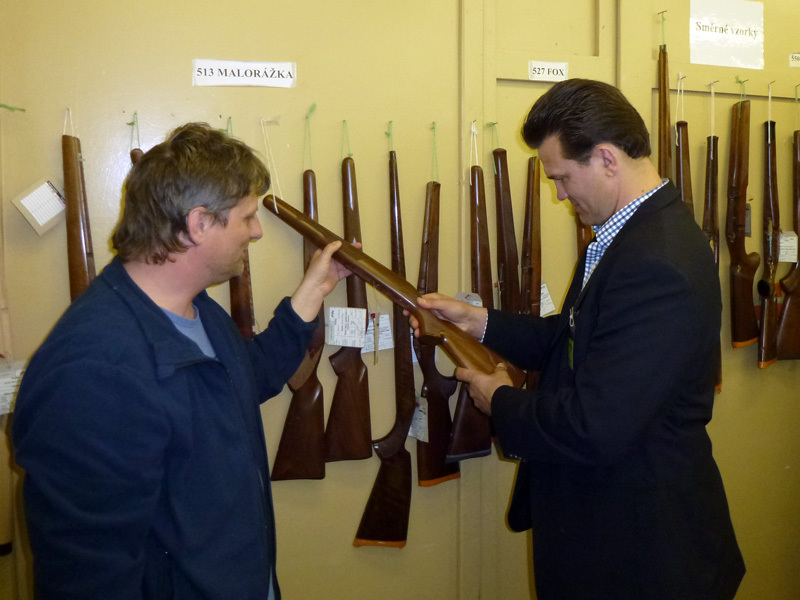 We started our tour in the workshop where the shotgun and rifle stocks are made. 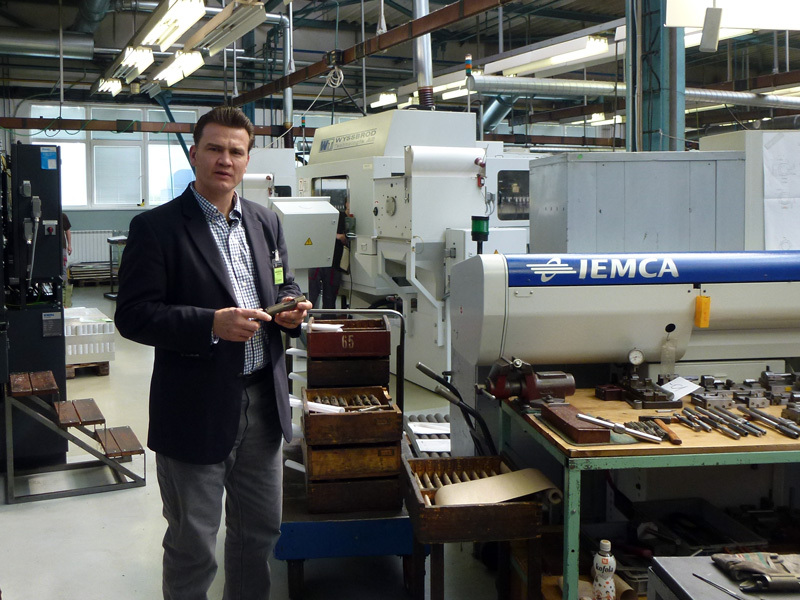 The initial process of cutting and trimming the stock is fully automated. 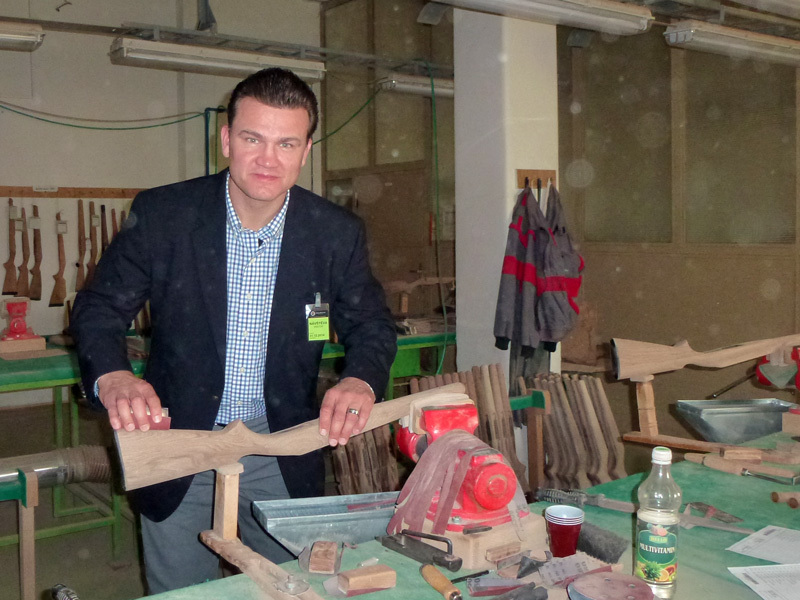 CZ has one of only three machines in the world where you insert block of wood and you get cut, trimmed stock only few minutes later. The human touch takes over from that point – sanding, staining and applying the proper finish. The only other process done by machine is laser engraving. Absolutely beautiful sight to see. It can be highly customized and sophisticated. Some of the most traditional European hunters really like this option. The next building contained the metal shop. Not really a shop but a hall full of automated machines that take a piece of metal aluminum or steel and turn it into bolt actions, slides for pistols etc. 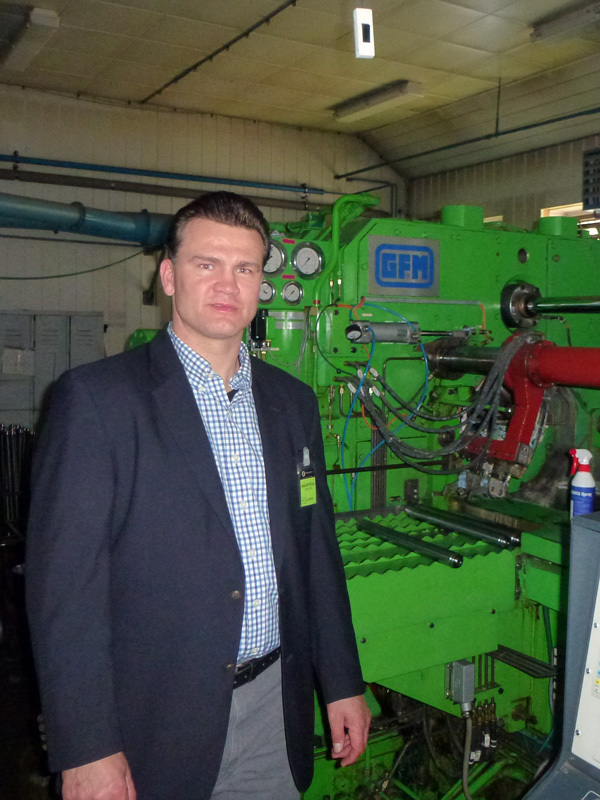 I was very impressed with modernity of the process. 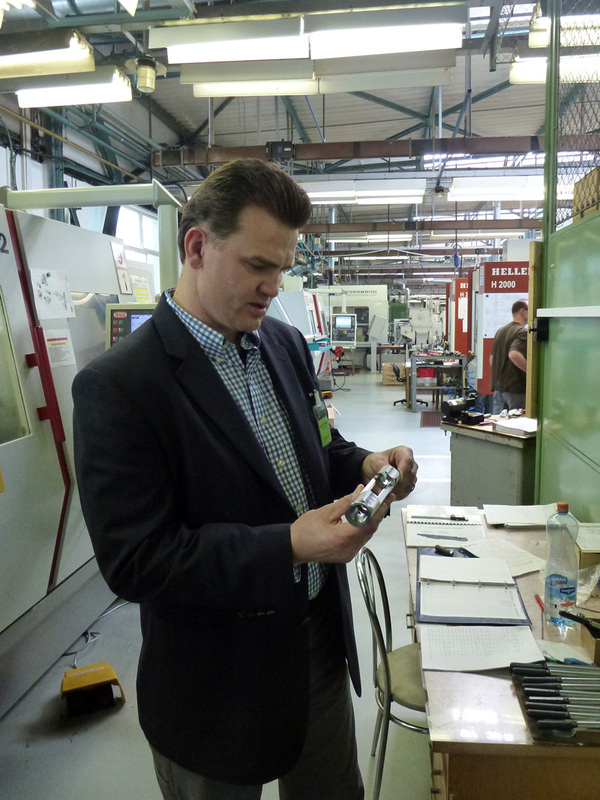 The great workers of CZ are always there to guarantee the quality standard we all got used to. The most interesting part of creating a firearm to me was barrel building. To build an accurate barrel is nothing short of art. Imagine long piece of incredible strong metal and try to drill a hole through it. Even with a help of specially design drills it’s still very delicate effort. CZ barrels are not drilled, they are pounded in with a huge hydraulic hammer. The process is known as cold hammer forging.. During our tour I never stopped thinking about the rifling of all those barrels, hard to comprehend even after I saw it being done. 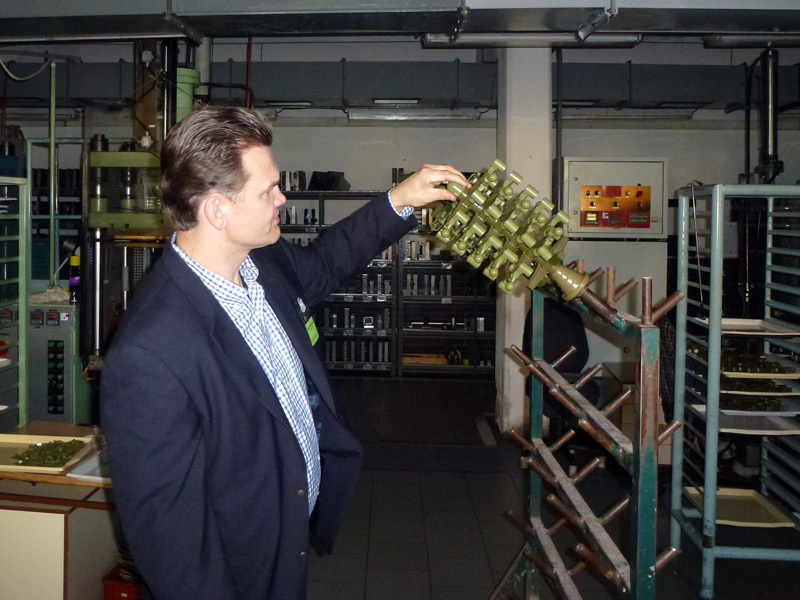 The tour was coming to an end when we received necessary security approval to see the final assembly of all parts made in the very unassuming factory complex. 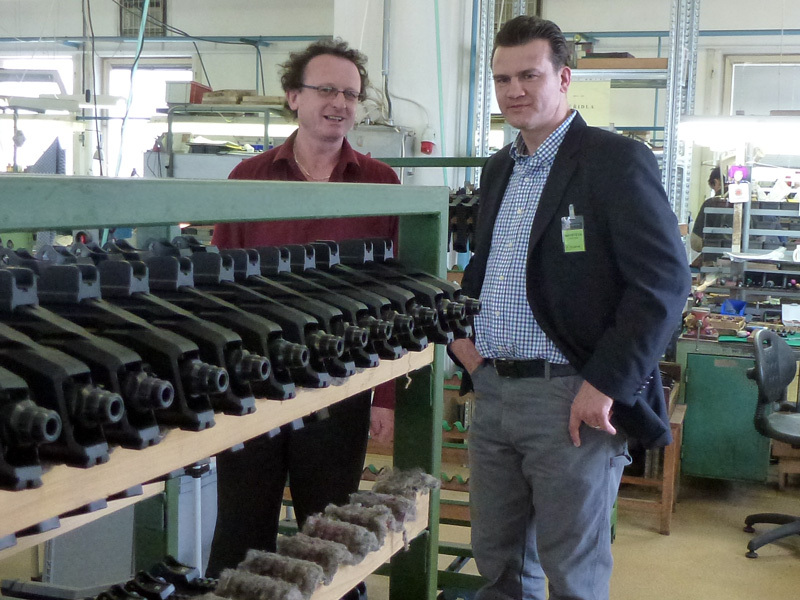 There I saw the finished and assembled guns from compact pistols to the machine guns ready to be shipped to Czech Army. When completed, each and every piece was put into the machines that rack the slide for few minutes, pull the triggers or simulate any other function of the firearm. 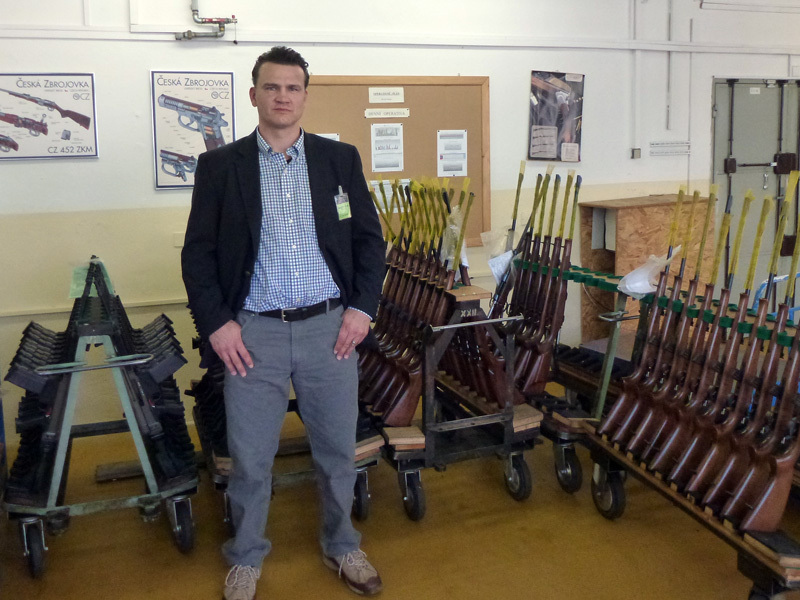 Every one of these firearms then goes to the test firing range and through the final QC inspection before it gets shipped. 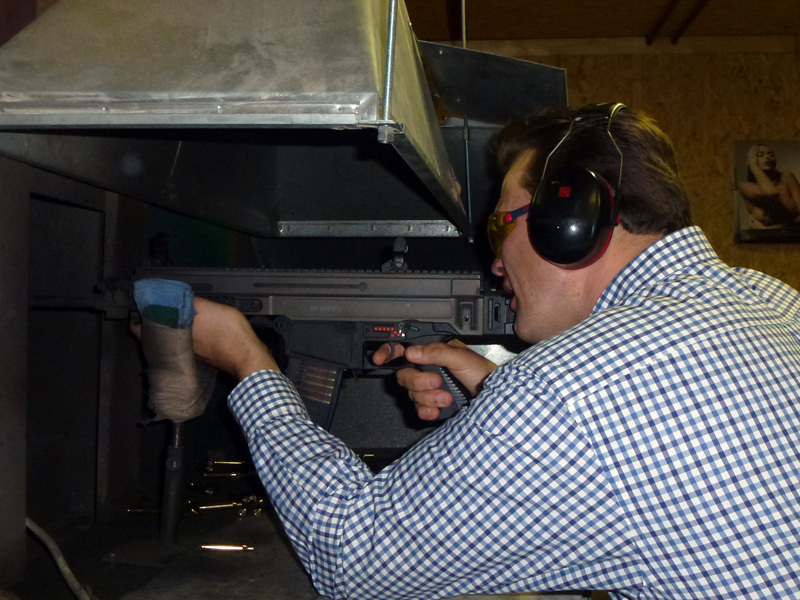 As I mentioned in the previous part every rifle,pistol, machine gun goes through several stages of test firing. I only participated in the target shooting. First we went to the safe and picked the models that I was dying to test fire. I went for brand new Scorpion 9mm submachine gun, Bren 805 assault rifle, CZ 527 Carbine, Brno Effect FS and CZ Safari Magnum. I must say I did not pick the Safari Magnum in .416 Rigby. 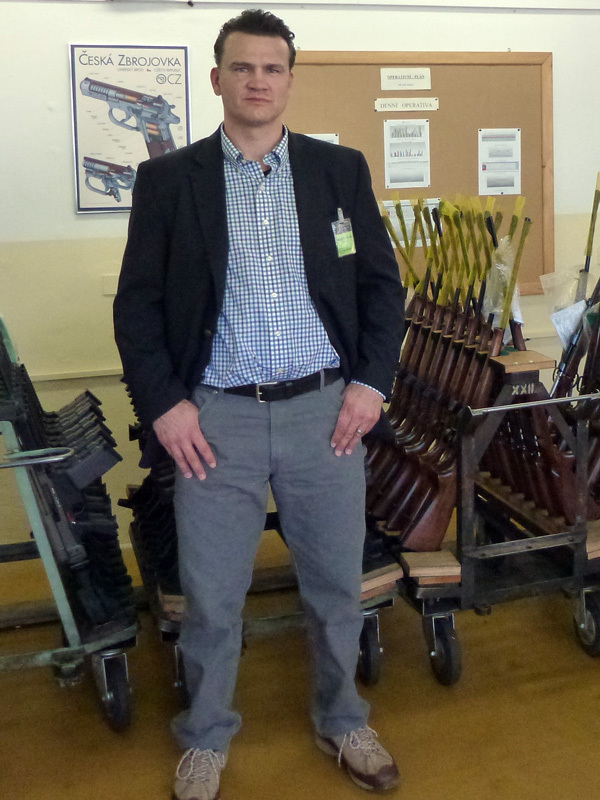 The General Manager Mr. Kovarik challenged me – he came down to see me at the range taking bets if I can handle the elephant gun J. I will try to write quick review in order I shot these guns. All I need to say is the U.S. Navy Seals (currently using Heckler&Koch) and other U.S. Special Forces or SWAT teams across U.S. should look into this. I shot it in semi and full auto modes. This sub machine gun has been one of the favorite ones for law enforcement around the world for many reasons. Now I can understand why. The Czech Republic Army is rearming their troops with this beauty. I shot it in semi and full auto modes. The accuracy, durability and ergonomics combination will hopefully make it NATO’s troops favorite soon. We moved away from military and law enforcement products onto guns we all can enjoy everyday. I was so happy about a hunting rifle in the old “commie” caliber. I only used the iron sights the rifle comes with and had a good time with it. Yes it is a good time rifle that can be shot every time you want to go to the range or just plink. I have no concerns to have my daughter shoot this rifle as far as recoil goes. I think we all will enjoy it hitting hanging steel on our range in Wyoming. I don’t like to have all the rifles scoped so I’ll leave this one without one. It’s good practice. For those who need to take care of the varmints around your house in the country or the farm like me, go get one. This was the most classic rifle I have shot yet. It is meant for the sophisticated European hunter who enjoys peaceful hunt. I enjoyed it at the range. Single shot, iron sights that allow you to take your time and work on you fundamentals. I only took few shots, but would love to spend more time at the range. The rifle has the warmest feeling and truly transfers you back in time. It’s not for everyone but I’ll give it two thumbs up. I think the last rifle I was given to shoot was for the enjoyment of management and the workers at the range, apparently there is a rule that whoever comes to the test range they must shoot this rifle at least once. I have shot .50 cal, .338 Lapua and others in big calibers but those were sniper rifles meant to handle large recoil. This was just a hunting rifle. I took the cigar sized round and put it in the chamber. I was given little advice from Karel. He said to really brace it against my shoulder. I did and pulled the trigger. It was great to feel all that power. First words out of my mouth were “Lets go hunt some elephants” I ended up shooting five rounds. The only time the recoil became a problem was when I was not totally focused and did not braced the rifle enough. You could cover all my hits with a thumb. Rifle that I did not want to shoot became quite an adrenaline pump. Well I had enough fun shooting these guns and writing about it. I would like to thank everyone who made my visit possible. I also want to mention how proud I am of CZUB and it’s employees representing a small country around the world. 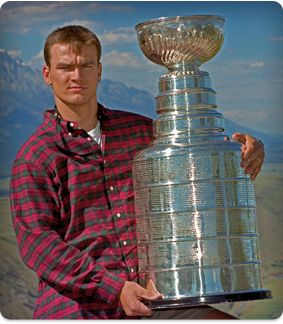 Ever since I started shooting for CZ-USA I have been saying there is two great things coming out of that country – guns and hockey players.